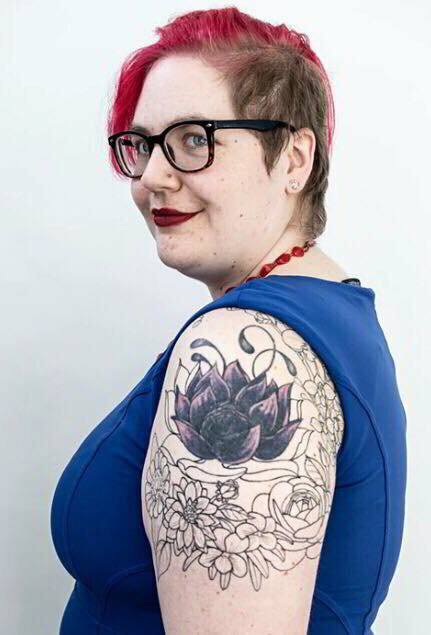 Caitlin Fisher is a millennial, queer author in the Cleveland, Ohio area who swears a lot and drinks too much coffee. Then she turns that coffee into words. It's basically witchcraft. Caitlin pays the bills as a full time marketing content manager for an Ohio greenhouse. Prior to this role, she worked in marketing for the organic mattress industry and purchasing for the specialty chemical manufacturing industry. And prior to those roles, she got a Master's in Higher Education (on loans) and was a graduate career assistant at a liberal arts college. Her first job was at a Dairy Queen. Caitlin's debut publication, The Gaslighting of the Millennial Generation is due in spring 2019. Gaslighting explores the ways in which society has pointed the finger at those born between 1980 and 2000 and how millennials can refuse this role as the scapegoat generation. (Plus, avoid doing it to the next generation too). The book builds on the advice and self help books in the market designed to help people succeed, while acknowledging the destructive ways in which Millennials were raised to believe they are somehow less than generations before. Caitlin's first blog, Born Again Minimalist, is the original home of the viral blog post, The Gaslighting of the Millennial Generation, which led to the development of a full length book to be published in spring 2019. She still publishes regular blog posts relating to lifestyle minimalism, mental health and trauma survivorship, and book reviews.